Today was the next to last day of hiking and I wanted to really take it in today. I think that tomorrow I’ll be too excited and emotional to slow down and absorb it all, so I intentionally did that today. Unfortunately, it rained most of the day. It was mostly drizzle, so it was more of an annoyance than a discomfort. There were times when the clouds tried to clear and we got some good views. We had a lot of ridge walking that was fairly level or gradual, so that was nice. It was perfect for hiking at a relaxed pace. 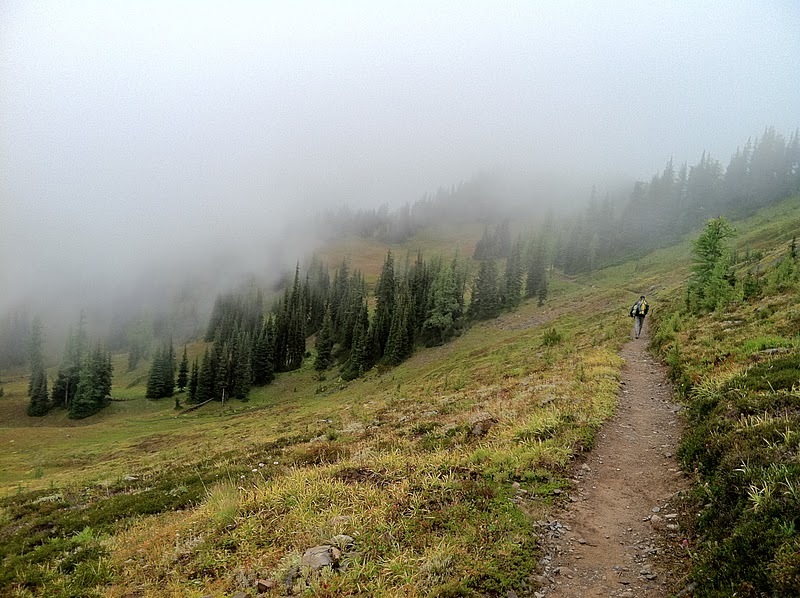 Plus, the scenery was still great with clouds moving in and out. All three of us were really appreciating today. Even the wet plants that soak our legs were looking amazing! Before lunch, we came to a sign that really got us excited. It’s so close! We got to eat lunch at Harts Pass where there was a picnic table and bathrooms. That was great! We hadn’t noticed that we were ten miles from our next water source. All three of us were low on water and having to conserve. A family drove up to use the restrooms and Yankee asked them if they had extra water. Amazingly, they had an extra gallon that they gave us! It was probably our last trail magic and it was great! Later in the afternoon, I was behind Yankee and caught up to him to see that he was talking to another hiker. When I walked up, I realized it was Pine! He had just finished yesterday and got to Canada with Top Shelf and a group of other guys. That means I will finish two days after Top Shelf. So close! 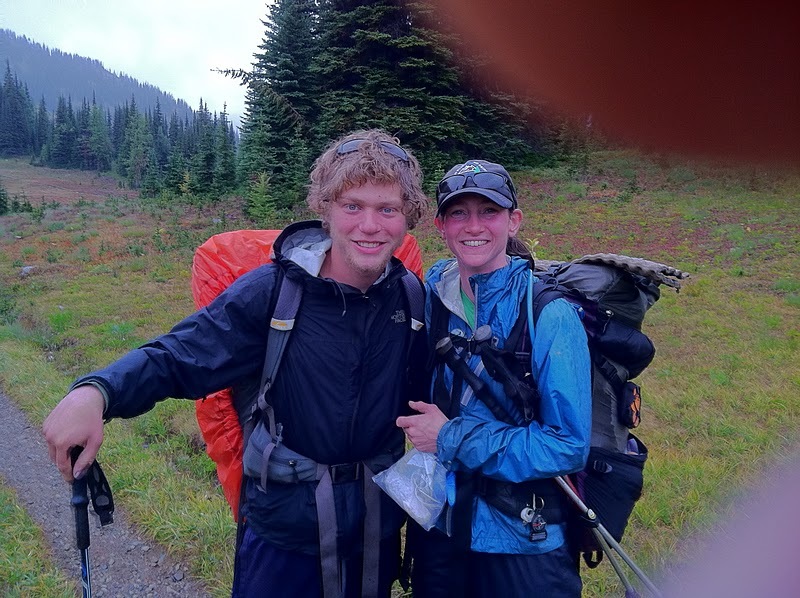 Pine was hiking southbound 32mi to get to Harts Pass where he had a ride waiting for him. 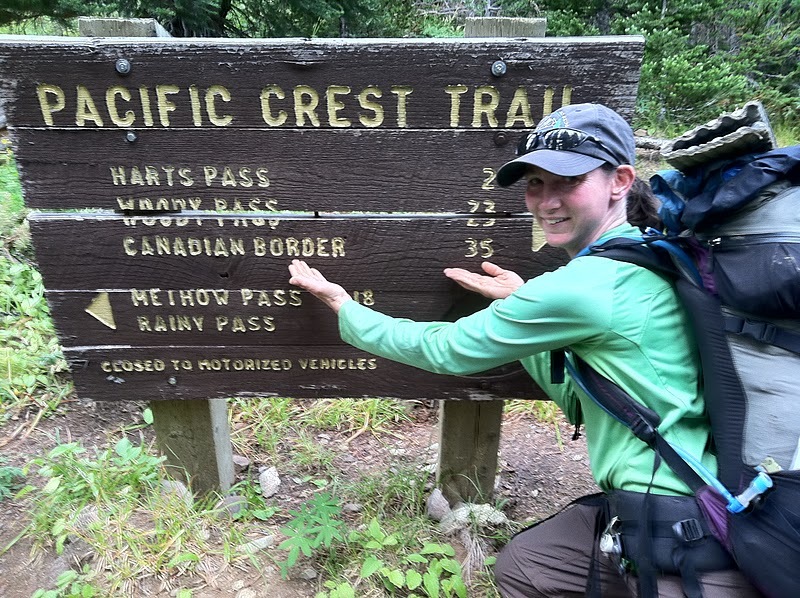 This is not uncommon for hikers to do when they don’t want to deal with transportation getting across the border or if they have an arrest on their recent record. Canada will not let people in who have been arrested in the last ten years or something like that. Anyway, it was great to see Pine and get a picture together. As evening came, we had a choice of two campsites. The second one was an hour more of uphill trail. We were pushing to get there tonight. As we got closer, I started to realize the timing and my energy level. Bookworm and I had done a bit more mileage than Yankee today because we had camped earlier last night. I decided I wanted to make my last night on the trail a happy one, so I chose not to push to the second campsite. Bookworm felt the same and is with me. Yankee wanted to go further and agreed to see us in the morning for OUR LAST DAY! I was so happy to be relaxed and at camp a little early tonight. While hiking today, I really tried to reflect on what the trail has taught me and how I’ve grown or changed. I think the most important thing I’ll take from the trail is learning not to push so hard. I tend to push a lot in life and try to jam as much into a day as possible. This trail has really taught me to slow down and relax more so that I can take life in more. I could have pushed to the second camp tonight and I was really proud of my decision not to. That is a lot of growth for me and I hope to continue that mentality when I get back to everyday life. What a great way to end this hike! 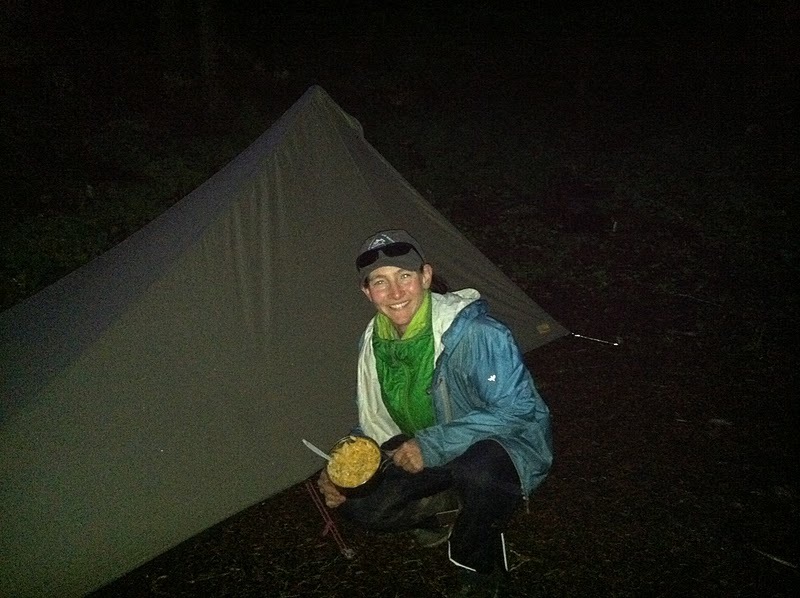 I saved my favorite trail dinner of Kraft Mac & Cheese with tuna and it was oh so wonderful! Bookworm and I were just really happy to have a relaxing camp night. We are currently 17mi from the monument and 26mi from Manning Park. 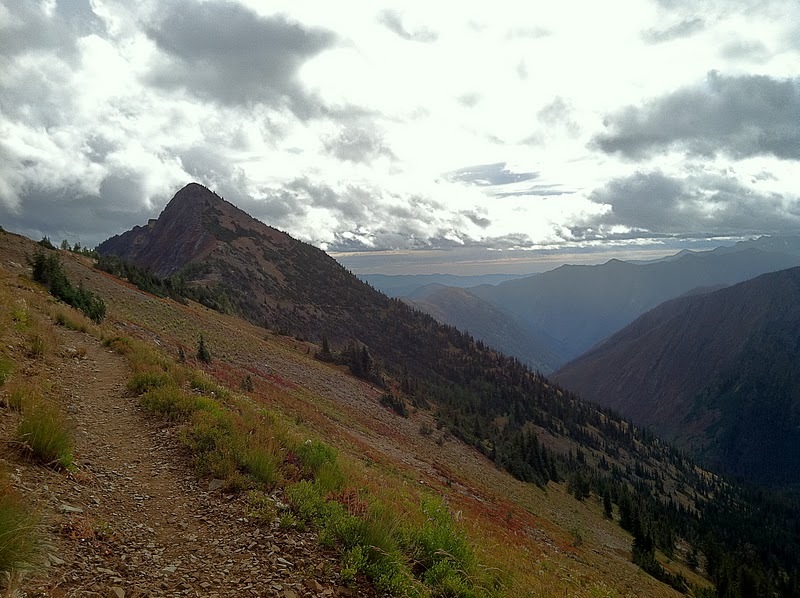 At this time tomorrow night, I will have completed the PCT and had a celebratory dinner at the Manning Park Lodge. So excited!